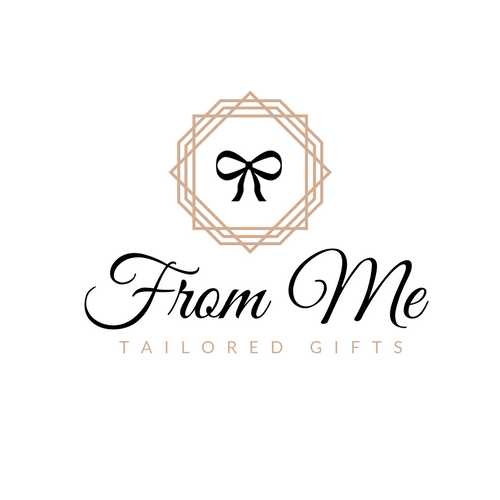 At From Me we source, combine, design and package gifts and hampers for any occasion. You tell us about the occasion and give us your budget, and we will find the ultimate combination of items to make the perfect hamper. We will do most of the creative thinking for you, but you can be as much, or as little, involved as you wish. Ideally, you can tell us a bit about the recipient, details about the occasions, and your preferred colour scheme. We shop around so you don’t have to! You don’t have to spend a fortune to say what’s on your heart. We do have a few readymade hampers with fixed pricing, which you can view on our Facebook page. Most of our customers, however, prefer something tailored and unique. You can thus tell us what your budget is and we will stay within those limits. If you like one of the examples on our Facebook page, you can use that as a baseline and we can adjust the hamper to suit your budget. Please note that our minimum order is R150. You can order a few small gifts or one big one at a minimum price of R150. There is no amount or quantity too big. Yes, no event or occasion is too big or too small. If you need specific items in your hamper to be branded, then we can do that too. A minimum order quantity might apply when it comes to branded gifts. Our corporate gifts will always match the colour palette of your brand or event. What about party / wedding favours? Looking for party or wedding favours can be a unnerving task. You might have a couple of options in mind, which means you really should shop around to get something special that won’t break the bank. At From Me, we shop around for you. We have a variety of suppliers that cater for a variety of party and wedding favour needs. Whether you are looking for something funky or something homemade, we know where to get it. I have some gifts but need them wrapped? We do assist with all your gift wrapping and packaging needs. This is especially helpful if you have large quantities of gifts, hampers, or conference bags that need wrapping or packaging. I already have one gift for my hamper, I just want to add more? No problem! If you already bought a gift and you would like to include it in your hamper, then we will make sure that the rest of the items in the hamper compliments the item/s supplied by you. Just like a homecooked meal, our completion times depend on a few factors. Most generic or standard gifts can be ready within 24 hours of placing your order. If you need something more tailored or something that has to be made or created from scratch then it might take a couple of days. To place an order, you can send us a message via our website contact form, inbox us on Facebook, give us a call on 076 310 4516, WhastApp or SMS us at 076 310 4516 or email amanda@fromme.co.za. We require a 50% deposit on all orders. The remaining balance can be paid upon delivery. Payments can be made in cash or via EFT. Once you’ve placed an order and we’ve agreed on your requirements, you will receive an invoice with our banking details. Unfortunately, we are only operating in Gauteng at the moment. If you would like to collect, you can do so in Fourways or Centurion. For deliveries in Gauteng a delivery charge of R49 will apply.